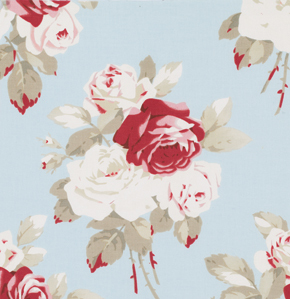 new fabric from Tanya Whelan. Tanya is one of my favorite designers. She designed Darla, Ava Rose, Sugar Hill... and now Petal. We are carrying the Petal precuts in the shop. 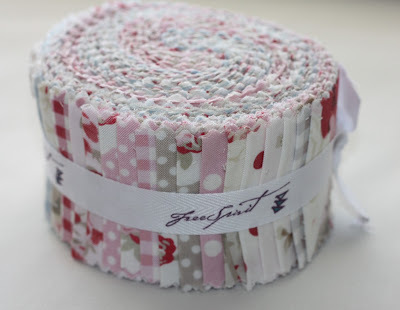 charm packs, jelly rolls and fat quarter bundle. There are a few duplicates. Each pack has 30 pieces. To be entered, just leave a comment. Oooh so pretty pretty pretty!! So pretty, hope I win. Beautiful fabrics! I can't wait to get my hands on something like this to do a more traditional style quilt! I like the romantic feeling with these roses. Oh yes! Well done Tanya! What a beautiful fabric perfect for may! 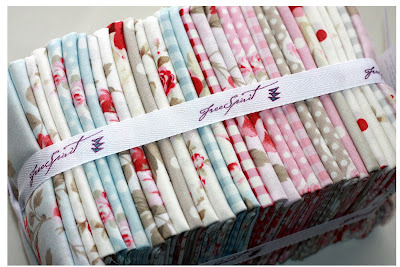 I love all Tanya's fabrics! 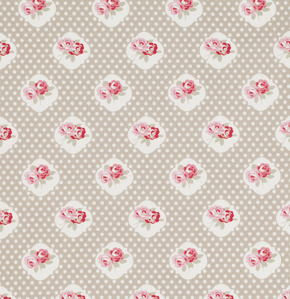 Hi Corrie - this fabric range is so pretty in a gentle, classic way. Just beautiful! I really love Tanya's fabric designs as well, they're so pretty but also very easy to use, they work as a fabric line but also go well with most other fabrics. Thanks for the chance to win. Lovely fabrics! Thank you for this giveaway. Pretty!! Thanks for the giveaway!! What a beautiful summery fabric. Makes you want to sit and enjoy the sun and the day with a big glass of iced tea. I thought that Sugar Hill was wonderful, but Petal ooh I think I am in love. Very very pretty. Love the colours. Thanks for having a give away. 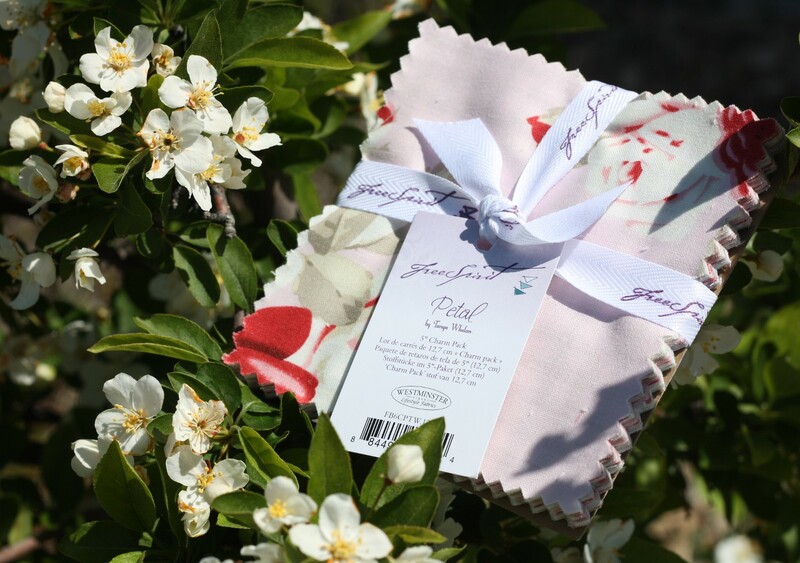 Great fabrics for spring, which has finally arrived in Kentucky! These are gorgeous. Thank you for the chance. I have not purchased new fabric in almost a year! This is such lovely fabric and I have the perfect project for it. A little chatelaine set for my aunt and for a very close friend, both of whom love pink and flowers. What sweet fabric. Thanks for the chance to win some. I love that! Thanks for the chance! It is beautiful! Thanks for a chance to win. Thank you for introducing this designer! I love the soft colors!! I am amazed that you guys always have such awesome giveaways! Not sure how you do it but I enter every time with fingers crossed! Thanks for the chance, as always!!! I am always a sucker for pinks...just lovely! Such a romantic fabric collection. Oh, I would love to win that! Thanks for the chance to win! I love the soft look of these charms. Thanks for the chance to win. 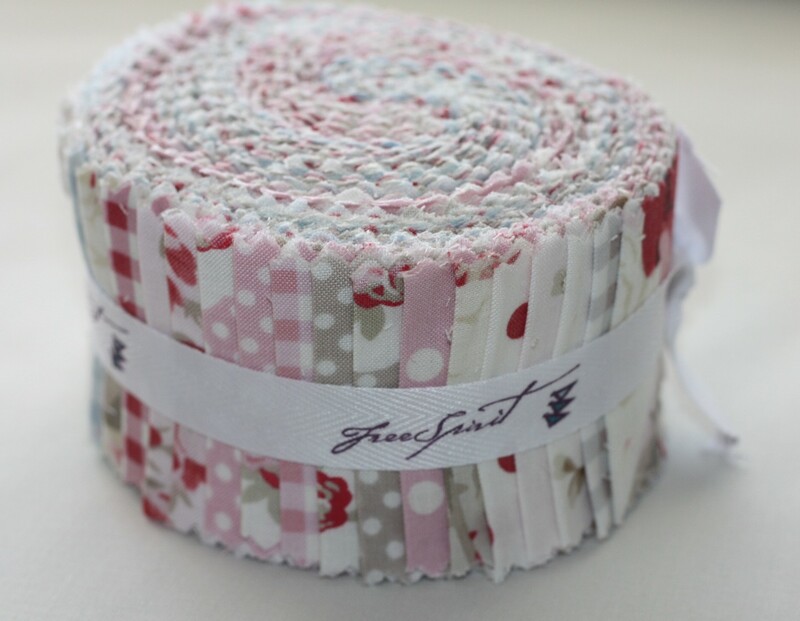 i love this beautiful fabric line, thanks for a chance. So pretty, it makes me lightheaded just looking at it! Very sweet and delicate looking fabric. Thank you for the chance to win. Wow what gorgeous fabric!! I am so happy to see pretty florals coming back. Sweet line of fabrics.Thanks for the chance!! I'm loving floral prints lately!!! Sew sweet! I'm always drawn to soft colors and roses. That's a sweet line of fabric. That would be just the right thing for a baby quilt for a friend of mine. Thanks for the chance! Oh, how soft and pretty! Thanks for hosting such a great give away! Have a great day! Very pretty! That charm pack could make such a pretty baby quilt. That fabric is beautiful and very springy! I'd love to add it to my collection of future projects!!! Very pretty fabric! Thanks for the chance to win. Tanya Whelan has beautiful lines of fabric. Thanks for the chance to win! 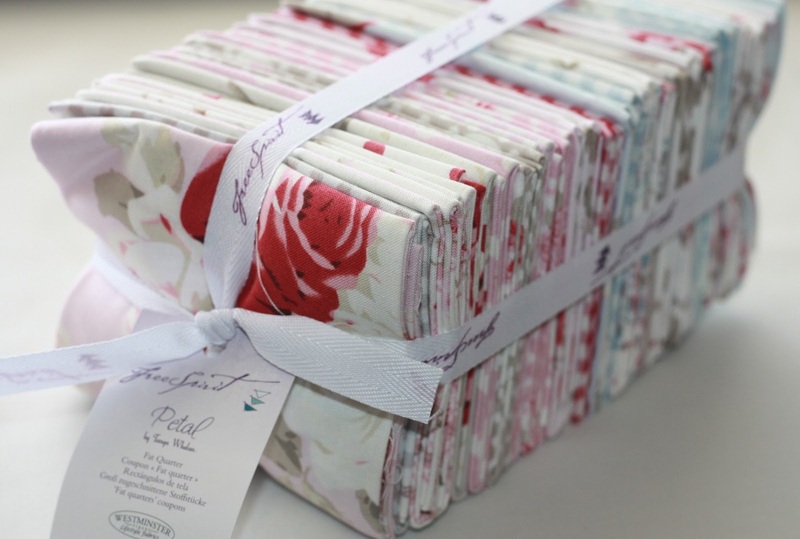 What pretty, romantic florals - great giveaway! So pretty! Thanks for the chance to win! The Petal line is so pretty! Thanks for the chance! That fabric is so soft & feminine! Oh, very pretty! Thank you for the chance to win!! This is SO pretty! Have a glorious Spring Day! What pretty fabric and the color combos and patterns are so classic- Thanks for the chance at another fun giveaway! Beautiful!! Thanks for the giveaway! I have a plan for this fabric, I just love the soft colors. Oh Swoooooon! Darla is one of my all time favorite collections. This collection is beautiful! This is just the fabric in need to make my MIL quilt!! It is soft and sweet just like her! So beautiful! Perfect for the baby girl quilt I'm planning for my son's teacher. I should start soon, as it must be finished before school ends in June and the baby should be born short after. Beautiful fabrics! Tanya makes such pretty designs! Such pretty fabric! Lovely colors! I am so in love with this collection. It reminds me of a lazy summer afternoon. 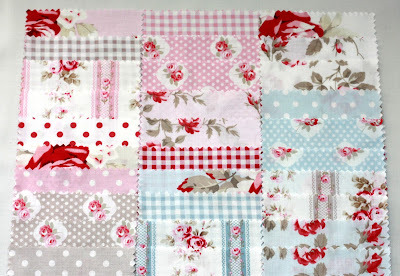 I so want to make a shabby chic quilt and this is perfect. These are lovely! Thanks for sharing fun new fabrics with us! Thank you Corrie for the chance to win these amazing fabrics! Just lovely! Thanks for the give-away. It is so lovely. I love how delicate and feminine they look! LOVELY! 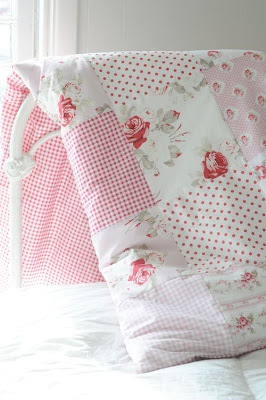 ONE OF MY VERY FIRST PROJECTS WAS USING TANYA'S FABRICS! THANK YOU TANYA+CORRIE FOR SHARING! How lovely! Perfect for this beautiful spring weather we are having! Thanks for a chance to win this pretty package! I haven't sewn anything in a while! I need to make time for it! Beautiful fabric! Would make a lovely quilt! Thanks for the chance to win! Love the shabby chic look! Gorgeous fabrics! Thank you for the fun! What lovely eye candy. Thanks for the chance. I just love, love, love this fabric!!! this is a lovely print. 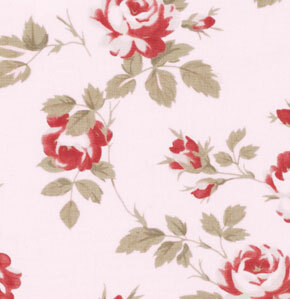 I've had my eye on this fabric ~ I love it, so sweet and feminine looking. 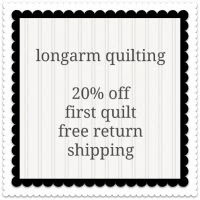 Wow would I love to have that to add to my stash, got LOTS of baby quilts coming up and that would be perfect...for a girl you know?? soft, femine colors! 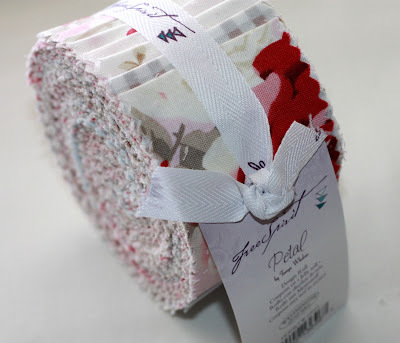 sew pretty, sew perfect for a baaby girl blankie! Very sweet fabric. Thank you for the chance to win! Oh my gosh, this fabric is so beautiful. 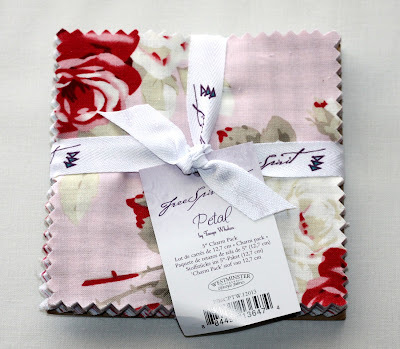 I love all of Tanya's collections and Petal, I think, is the best. Love the combination of florals and dots. I'm loving those florals, so pretty. Such pretty fabric. Thanks for a great giveaway! Such a pretty fabric line... I'd make placemats for my dining room table - thanks for the chance! Love the pretty soft colors of this line!! Thanks for the chance!! Soft colors with a punch! Thanks for a chance. Beautiful fabric. I love it! Thanks for the giveaway! Wow, what lovely colors...thank you! Such pretty colours. Thanks for the chance to win them. Very lovely fabrics. I adore the colours. Thanks so much for the great giveaway! love the fabric. Thanks for sharing. This color palette is totally out of my normal wild range, and would be a good stretch and REST for me ! Sew pretty. Ava Rose was one of my favorites and this looks like it will be one that gets added to my list. Thanks for the chance to win. Very pretty fabric. Thanks for the chance to win. Love Love Love roses and this is gorgeous going to pin in my purchase folder.. I love Tanya's fabrics. Thanks for a chance this new line is fabulous. Wow what a beautiful bundle!! Thank you for a chance to win. They are darling...remind me of fabrics from the late 40's early 50's. My mom had aprons and tablecloths that I can remember very much like these..very female and cozy at the same time at least for me. Love that Petal bundle!!! The fabric is beautiful. Aaah love everything she does. OM Goodness! All I can say is "yummy"; what delicious looking fabrics. WOW!! That fabric is amazing!! So pretty.. I would love to make that quilt out of the charms or jelly roll. Thank you for the chance to win the charm pack. Beautiful fabrics! 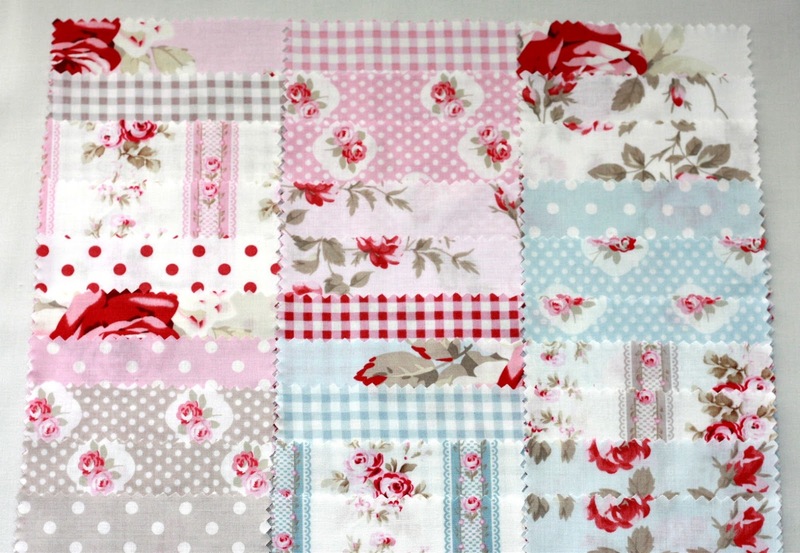 Would make a beautiful baby girl quilt!! I check your blog out everyday, I love when you have new posts. You are always so crafty and fresh new fabrics are great. Thank you for this opportunity to win some pretty pretty. Really beautiful. 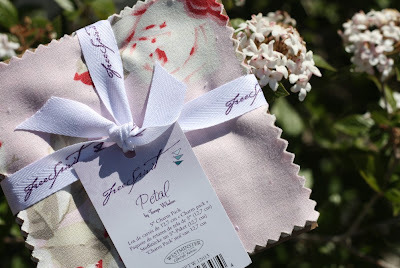 I just love quietly joyful fabrics--especially the ones that recall beautiful gardens.